This report on non-tariff barriers (NTBs) in the European single market has been commissioned by the Polish Federation of Food Industry (PFFI) and prepared by Dentons in collaboration with PFFI. The report analyses the current situation and identifies effective measures to counter unjustified non-tariff barriers to trade. Recent years have seen a growing debate on the existence of unjustified non-tariff barriers1 which have an adverse impact on trade and free movement of goods and services within EU member states. A point is made that these barriers are often motivated solely by protectionism and are not justified by the rational needs of a country. Calls are heard from many quarters that the EU Member States should view the single market as a joint initiative and the common good, and that for this market to reach its full potential, proper coordination is required among all of its participants. Those who lose out on NTBs are both consumers and businesses. They suffer the costs of additional barriers, have restricted access to certain products or services and need to pay more for them. According to a study published by the European Parliament in January 2018, titled Mapping the Cost of Non-Europe 2014-192, the European Union economy could gain an additional EUR 183 billion if barriers in intra-Community trade were to be removed. We hope that this report will make a worthwhile contribution to the debate on the mechanisms of change that would lead to removing unjustified non-tariff barriers in the single market. The data in the Report shows the biggest hurdles the Polish exporters face include increasingly frequent sanitary checks; long document retention periods; the need to hold additional certificates; short permit validity terms; or the need to place specific texts or markings on packaging. According to the Report which cites opinions of Polish food exporters, the countries with the largest number of barriers on EU’s internal market include the Czech Republic, Germany, Slovakia, Spain, Hungary, the Netherlands, and the UK. Importantly, according to the data gathered, more than 30% of exports to EU Member States which create impediments to imports face discriminatory measures, and overcoming those hurdles exposes Polish businesses to additional costs. The conclusions of the Report were discussed during a debate on “Non-tariff barriers for food exporters in the internal EU market”, which the European Parliament held on 7 July 2016.3 The debate in the EP made it clear that non-tariff barriers to food exports within the EU are a problem for exporters from many countries, not just Poland. Its resolution therefore requires measures at the central level to ensure that barriers are lifted equally for all Member States. Improving the movement of goods and treating all players within the internal market on an equal footing are issues which need to be addressed as part of a broader debate and action, as this is in the interest of all Member States and the EU as a community they are a part of. The European Parliament has called on the Commission4 to first ensure that Member States respect the existing rules concerning the single market rather than creating new, additional pieces of legislation on matters already covered by the existing rules. Furthermore, the Parliament has called on the Commission5 to intensify its work on enforcement and the principles which underpin the single market, believing that early intervention with regard to national measures or implementation procedures which constitute unjustified NTBs may be effective and results more readily achieved than through infringement proceedings; Nevertheless, the Parliament underlined that for serious or persistent failures or misapplication of EU law, the Commission must use all available measures, including prioritising infringement procedures, to ensure full implementation of EU legislation on the single market. Bearing this in mind, it seems that the procedure before the Commission must be regulated to ensure that it is clear and can be carried out without undue delay. Currently, the administrative part of infringement proceedings before the Commission is unregulated both in terms of its conduct and duration. The fuzzy time limits for individual stages considerably prolong the procedure, during which time barriers and discriminatory measures continue to subsist and the affected businesses and countries are unable to protect themselves effectively. The lack of clear guidance may also lead the Member State complained against to delay the proceedings deliberately. Therefore, internal rules should be adopted that would organise and provide a fixed framework for proceedings before the Commission. These rules should not only arrange the conduct of the procedure but also include detailed guidance on individual types of infringement cases, such as free movement of goods, services, etc. For example, cases concerning food should have fixed periods to comply with the Commission’s recommendations or its reasoned opinion. These periods would only be extended only on a Member State’s reasoned request. The work of the Commission during the procedure should also be limited as to time, with an option to extend its duration in cases of particular complexity. Given that most cases are resolved at the administrative stage, formalising this stage and providing a timeframe for it would undoubtedly streamline the entire procedure. 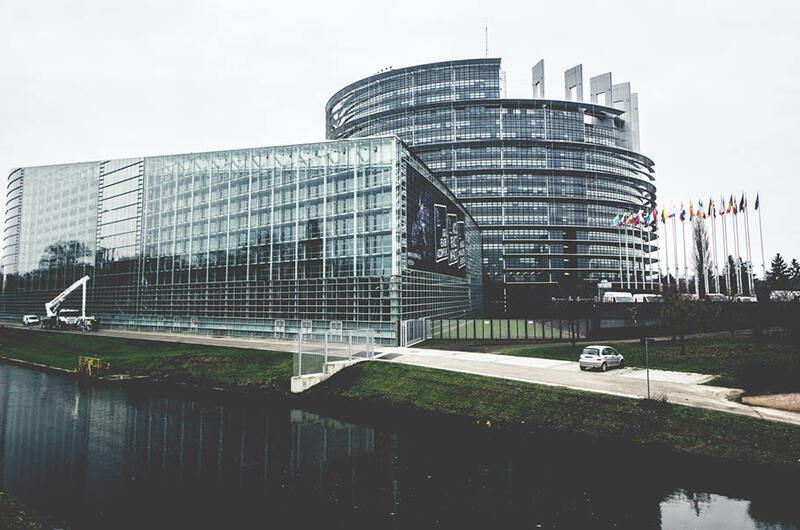 If adopted, such rules would also make pre-infringement and infringement procedures more transparent, which is what the European Parliament called for in its Resolution. Importantly, the rules should allow the Commission to initiate the procedure for necessary interim measures. This is possible pursuant to Article 278 TFEU which says that the Court of Justice may, in any cases before it, prescribe the so-called interim measures. As there is no exhaustive list of such measures, they can be very diverse, and they are intended to prevent serious and irreparable losses from occurring, safeguard the rights of individuals, and ensure enforceability of judgments on the merits.6 In cases involving barriers to food trade, the Commission should mandatorily request the Court of Justice to apply interim measures early in the administrative procedure. This is absolutely necessary and justified considering the specific nature of the food industry: food exporters to other Member States who have to cope with serious barriers are liable to lose their established business partners, reputation or liquidity, which might in effect lead them to exit their market. Therefore, steps need to be taken to protect businesses hit by discriminatory practices. The duty to request a decision from the Court of Justice would send a clear signal to all Member States that the Commission is determined to combat all forms of unjustified market barriers. Court of Justice’s decisions to apply interim measures in justified cases, ordering immediate cessation of infringing market practices, would protect businesses and also discourage Member States from resorting to unfair measures. Another important point is to formalise the Commission’s informal contacts with the Member State concerned after reports are made that it might have failed in its obligations (such formalised contacts are called “expert procedure” for the purposes of this report). We propose reversing the burden of proof both in the expert procedure and in the Commission’s administrative proceedings. Accordingly, it would be the Member State alleged to apply unjustified NTBs that would bear the burden of proving that its legislative measures are not contrary to Union law. This mechanism would not be excessively onerous on the Member States because their national legislative processes already include preparing explanatory memorandums, regulatory analyses etc. in relation to proposed measures and their compatibility with Union law. Thus, if a Member State is careful and diligent in adopting changes to its national law, it will have appropriate documents to prove that the new measures are not unjustified NTBs or are justified as such. Such a solution already exists in EU law, e.g. in Directive 2005/29/EC of the European Parliament and of the Council of 11 May 2005 concerning unfair business-to-consumer commercial practices in the internal market. This kind of clause is authorised under the Directive where it says that it is for national law to determine the burden of proof in unfair commercial practice cases. The reversed burden of proof in proceedings on complaints alleging infringement of EU law will prompt Member States to plan their changes in law more carefully and to apply NTBs only where justified. Also, the solution is in line with the EP Resolution’s recommendation for the Commission to first ensure that Member States respect the existing rules concerning the single market rather than creating new, additional pieces of legislation on matters already covered by the existing rules. It should be remembered that, with the multilevel governance applicable in the European Union, there can be differences in how national laws in different Member States regulate certain duties. However, it should be clear at all levels of regulatory decision-making that any mechanisms restricting the free movement of goods must be proportionate and serve to further legitimate public policy objectives. The EP Resolution makes a point of noting that where such barriers can be justified as proportionate, information on differing national regulatory requirements should be easily accessible.19 It has been recognised in particular that it is SMEs and individuals that are facing major obstacles in cross-border activities within the single market owing to the lack of easily available information, excessive administrative burdens and significant compliance costs. Therefore, Member States should be required to give notice of changes in their national regulations relating to the marketing of various product groups (such as, for food, the duty to apply new labelling or to obtain registration). The proposal is that before a Member State introduces new national legislation, it would have to give at least 3 months’ prior notice of the change (before its effective date) so that the other members of the Community can easily take note of it. To make it easier for the Member States to discharge this obligation, we propose developing an official website platform modelled on the existing Market Access Database (“MADB”). MADB is a platform enabling firms which export their goods outside the European Union to obtain information on the requirements they must meet to ensure the compliance of their exports to third countries. MADB provides information about taxes, customs duties, import procedures, documentation requirements, identified trade barriers, special food safety regulations and animal health regulations, EU trade statistics with third countries, etc. This regularly updated chargefree service enables a trader from a Member State to check the requirements that are applicable to his goods in over 100 third countries. MADB allows users to easily search for customs tariffs country by country and identify the trade barriers involved.